Mum first made this art in BeFunky. She wanted to keep it simple this week. This is a chromatic effect and because she says I'm a star she added the film frame. But then she came across LunaPic, and though she's used it before, she hadn't realized how much fun you can have enhancing your photos - all for free. And here is the LunaPic creation - fairy style. Isn't it amazing? Check out the Cat Inspired Halloween Collection at my Zazzle store! I loved both art pics today! Oh, that was really amazing! 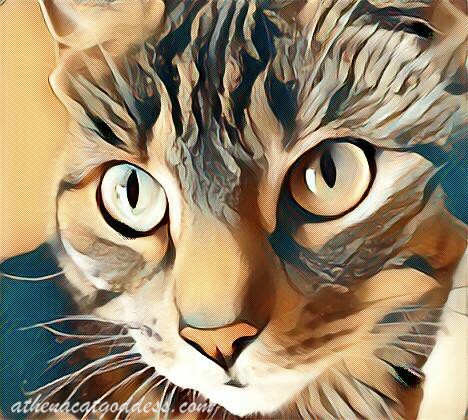 Probably the best filtered picture art Mom has seen on any blog. Love that fairy tale effect. It's wonderful! You're wonderful, Athena! Please thank your human for sharing it with us. I am in love with your fairy style art, Athena. So beautiful (as always)! Fairy style is amazing, but they were all great pictures of YOU Athena. I absolutely love close-ups of cats' eyes, so the first one is my favorite, but the fairy style is soooo beautiful! The first one looks almost exactly like the cover on Mom's phone! We love playing with all the different programs and effects! Athena we will have to go play with LunaPic too, we just loved the effect you got! Mom also loves taking close up of our eyes. 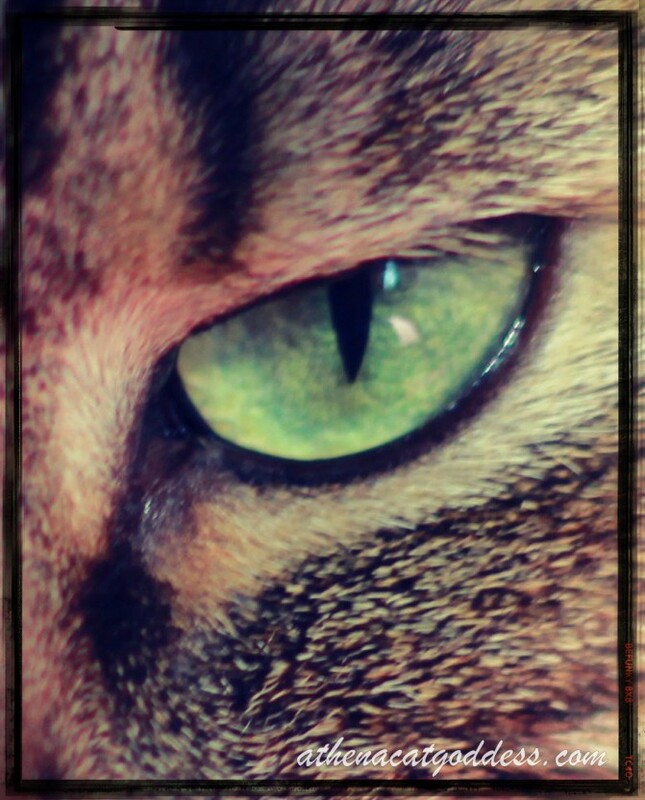 She says all of us have beautiful eyes, well all cats do really!!! You look like purrfection today! The "simple" one is beautiful focusing your pretty eye. I love the Lunapic. That is so neat looking! The original is pretty amazing too. Whoat! LunaPic has changed since the last time I was there. Love they art. LunaPic is always fun! And your Mommy did a great job - yous looks marvelous darling and wes LOVES the cools shot of your eye!! How exciting! Supurr art Athena, mew look fabulous! Those are both absolutely gorgeous! But why wouldn't they be, Athena? 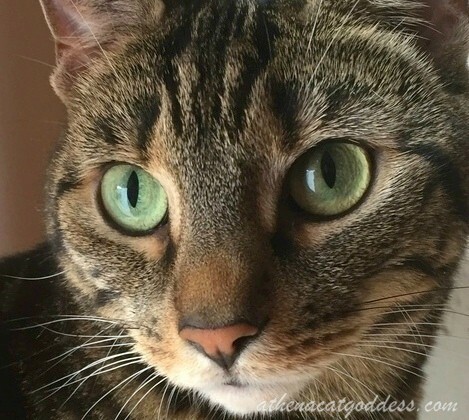 Yes, cats have amazing eyes!